Black History Month is an annual celebration that recognizes the role of African American's in U.S. history. Since the 1970s, Black History Month has been celebrated in the United States during the month of February. Other countries around the world also devote a month to celebrating black history and contributions. This year, San Mateo County Libraries celebrate with several exciting events. Nominated for seven Oscars, including Best Picture, Black Panther is a 2018 American superhero film based on the Marvel Comics character of the same name. It is the first superhero film to be nominated for Best Picture at the Oscars. 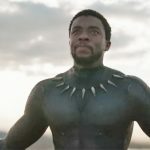 According to Tre Johnsonopens a new window of Vox, "It acknowledges and celebrates everything from traditional African society to African-American political debates, from the power and beauty of black women to the preservation of identity, all within the lush confines of the fictional African nation of Wakanda." 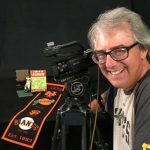 Join award-winning documentary filmmaker Jon Leonoudakisopens a new window for a presentation of films and stories about race and baseball in America. Both screenings will be followed by a Q&A and a book signing of Leonoudakis' book Baseball Pioneers. 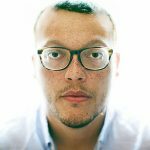 Author of Into Each Room We Enter Without Knowing, and named a finalist for the Lambda Literary Award for Gay Poetry as well as the Publishing Triangle's Thom Gunn Award for Gay Poetry, will read from his work. Two readings only. Don't miss Charif! 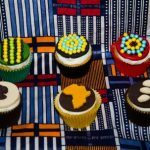 Join us for a fun cupcake paint party and learn creative techniques to celebrate Black History and Mardi Gras using cupcakes! Bring the whole family. This quartet will take you on a journey to the past, exploring the African American roots of Jazz, Soul, Blues, and Spirituals in Austin’s new album, “Unbroken”. Take a look at our full list of events for Black History Month and come join us in the celebration. Let us know what you think below!